I have replaced the head on my 86 300SDL and getting ready to button it up. However, I am not convinced I have the correct timing on the cam and crank. 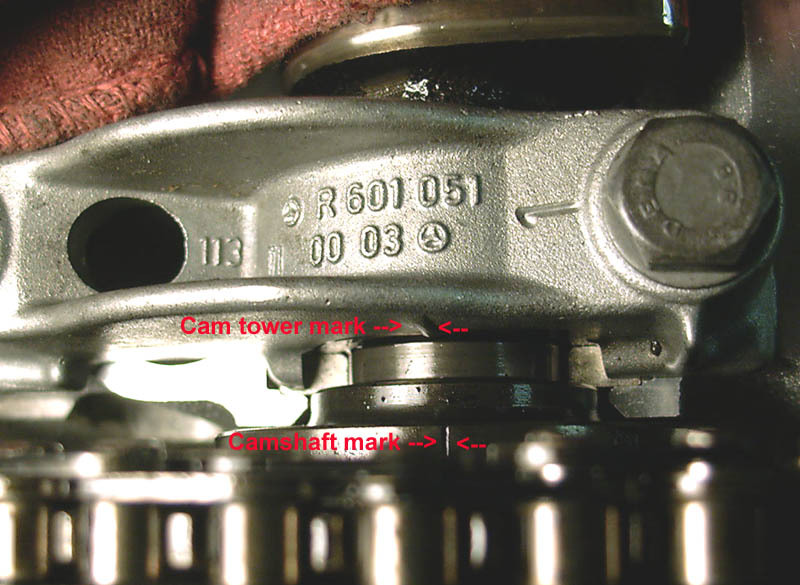 First off, I can find nowhere a picture or description of where the timing mark should be for the crank. This engine has a circular hole in a plate on the right side of the engine above the alternator. Logic would suggest that when TDC on the crank pulley is centered in that circle, it should be TDC. With the head off, indeed the #1 piston is TDC. However, with the original timing chain in place, the cam did not line up exactly and is basically 1/3 tooth off…..early. Could be worn chain one thinks but after installing a new chain, the situation is the same. So the question is, whether I am missing exactly where TDC should be on that crank pulley…..or, since the engine ran fine except for a burned valve on 6 before, is it just not an issue. The other curiosity I have is whether all the 86/87 OM603’s had that same timing hole arrangement. This car was purchased in Germany March of 86 so I know it is an early engine. The hole/circle is not the TDC indicator. That is intended for a special tool (locating device) used to set the adjustable indicator, using this procedure. The indicator can move up to 3° total is must be set with a dial gauge on the piston crown. It almost always ends up in the middle of the range (±0.5°) so if you're unsure, or it was accidentally moved, re-set it right in the middle if you don't have the cylinder head off to do the dial gauge procedure. Anyway, you are supposed to be looking at the tab sticking out in sort of a half-arrow shape, this is the pointer. (It's just to the left of bolt #41 in the diagrams of the procedure mentioned above.) The 0° line on the balancer should be fully visible to the left of the indicator at TDC. The line shouldn't be centered under the edge, as you might think, that would actually be ~0.5° ATDC. Click here for a timing chain TSB showing how to measure chain stretch, etc. Appreciate the information. Everything is now completely in alignment. Had to move cam back one set of teeth.